When Winston Churchill suffered a massive stroke in 1953, his desire for world peace kept him fighting to recover and return to the public eye. But how did he keep the stroke a secret from the world? And how did the entire event impact his life and his family? 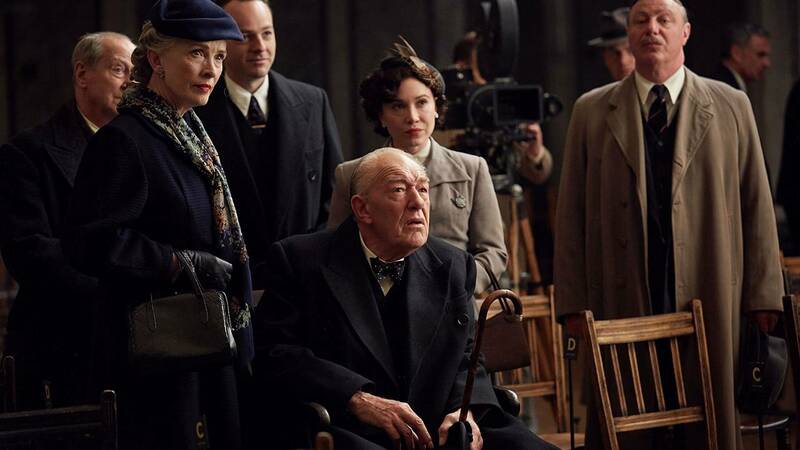 Michael Gambon (Harry Potter, The Casual Vacancy) plays the greatest statesman of the twentieth century in his most difficult hour: a debilitating stroke which he seeks to hide from the world. Based on a true incident in the life of Winston Churchill and directed by three-time Emmy® nominee Charles Sturridge (Shackleton, Brideshead Revisited), Churchill’s Secret co-stars Romola Garai (The Hour), Lindsay Duncan (Sherlock), Bill Paterson (Little Dorrit), Matthew Macfadyen (Any Human Heart), Tara Fitzgerald (Jane Eyre), Rachel Stirling (The Bletchley Circle), Daisy Lewis (Downton Abbey), Alex Jennings (Silk) and a host of other brilliant actors. The action opens in the summer of 1953. Churchill, age 78, is prime minister for the second time and as pugnacious as ever—until he is felled by a severe stroke while hosting a state dinner at 10 Downing Street. Lady Churchill (Duncan) manages to conceal the seriousness of her husband’s sudden incapacity, while he is evaluated by his personal physician, Lord Moran (Paterson), and later transported in worsening condition to his country home, Chartwell. Summoned to care for the apparently dying prime minister is a remarkable young nurse, Millie Appleyard (Garai), who treats the world’s most famous man as she would any other difficult patient: with compassion, firmness, and occasional indulgence. In the weeks that follow, the two bond over the Victorian poet William Ernest Henley, whose celebrated poem, “Invictus” (Latin for “unconquered”), helps inspire Churchill to relearn to speak, stand, and walk. He is also determined to hold onto the reins of power, and Churchill’s Secret tells the astonishing story of a bedridden, incapacitated leader who plots to outwit the high government officials who are maneuvering to replace him. Then there is Churchill’s family and his children, who grew up in the permanent shadow of their exuberant and ambitious father. When Diana (Fitzgerald), Randolph (Macfadyen), Sarah (Stirling), and Mary (Lewis) arrive at Chartwell to comfort their stricken parent, all except Mary fall to bickering and boozing— hardly an environment conducive to convalescence. Through it all, Lady Churchill tries to keep the family peace and above all save some portion of her husband’s declining years for herself— far away from the demands of war and politics. As for Winston, he is haunted by a strange vision and a hit song from the early 1920s: “I'm Forever Blowing Bubbles.” What could it mean? Hope you can join us at 8pm Sunday, September 11, on CET and ThinkTV16!